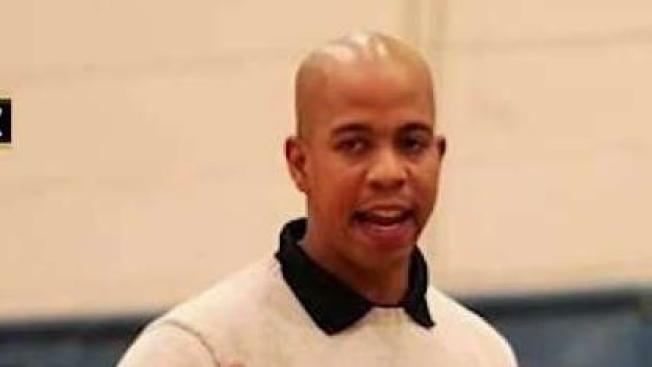 The Department of Education said in a statement, "These are incredibly shocking allegations"
Todd Myles, who worked at the Paul Robeson High School, was charged Friday with attempted murder, assault and criminal use of a firearm. Police say the student's father had gone to Myles' home in Brooklyn's Bushwick neighborhood on Dec. 22 to confront the coach, who police said shot the parent in the neck. The father was in critical condition after the shooting and police say he could not speak to authorities while recovering - till now. The Department of Education said in a statement, "These are incredibly shocking allegations. We immediately reassigned away from students and will work to remove him from payroll as soon as legally possible." Police did not release the father's name. He was being arraigned Friday. Myles, 42, started as a substitute teacher in 2001 and had been at the Pathways in Technology Early College High School since 2013. The school is known as P-Tech, part of the Robeson campus. At an away game in Baldwin on Long Island Friday night, parents of the Robeson campus varsity team were disappointed by the allegations. "It just looks bad, he's supposed to be a role model," said Anson Pollard of Crown Heights. "My child goes here to play basketball." "He's supposed to be a good coach, and kind of a role model for the kids -- like 'He made it and he came from this neighborhood, he could have gotten there, maybe I can get a chance, too,'" said Pollard. Justice Stewart of Baldwin remarked, "Robeson is known for having a good team. Tonight they didn't play how I normally see them play. Definitely quite sure this has affected the whole team, if not the school."